Nicholas Roerich (1874-1947) is known first and foremost as a Russian-born artist. His paintings, of which there are thousands around the world, explore the mythic origins, the natural beauty, and the spiritual yearnings of humanity and of the world. Roerich’s paintings offer a kind of teaching — about spiritual development, about culture and its role in human life, and about possibilities for the achievement of peace in a fractious world. 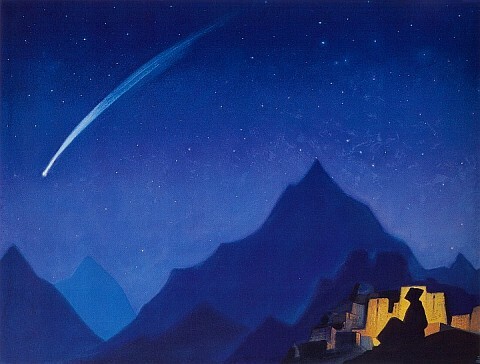 The 1993 Nicholas Roerich exhibition was the second of two which have been presented by Oglethorpe University Museum. The first exhibition, which took place in 1985, marked the 50th anniversary of the signing of the Roerich Peace Pact at the White House on April 15, 1935. It was also the first major U.S. exhibition of Roerich’s work in 50 years outside of the Nicholas Roerich Museum in New York. The Nicholas Roerich Museum displays approximately two hundred of Roerich’s works, and keeps them permanently on display for visitors who come from around the world. The mission of the Nicholas Roerich Museum is essentially a narrow one: to make available to the public the full range of Roerich’s accomplishments. These, however, are not narrow; they cover the realms of art, science, spirituality, peacemaking, and more.